Oris Airstream Pop-Up shop mixes vintage mobile Americana with Swiss watchmaking. It isn’t every day that we see pop-up watch sales by brands at events taking place around America, but when we do, they are usually very staid in nature, with sales reps showing watches via luxury showcases and pouring champagne. Well forget that … Independent Swiss watch brand, Oris, takes the concept of experiencing watches at pop-up shops to an all new height. The brand turns to a vintage Airstream trailer as the home of its upcoming pop-up shops, and the road trip begins this month. The idea brings vintage nostalgia together with fun, cool experiences and combines both classic Americana with Oris’s quickly Swiss attitude. Remember, this is the watch brand that has the coveted Oris bear mascot — a statue that goes everywhere in America that the brand goes — yes, including on the Airstream. 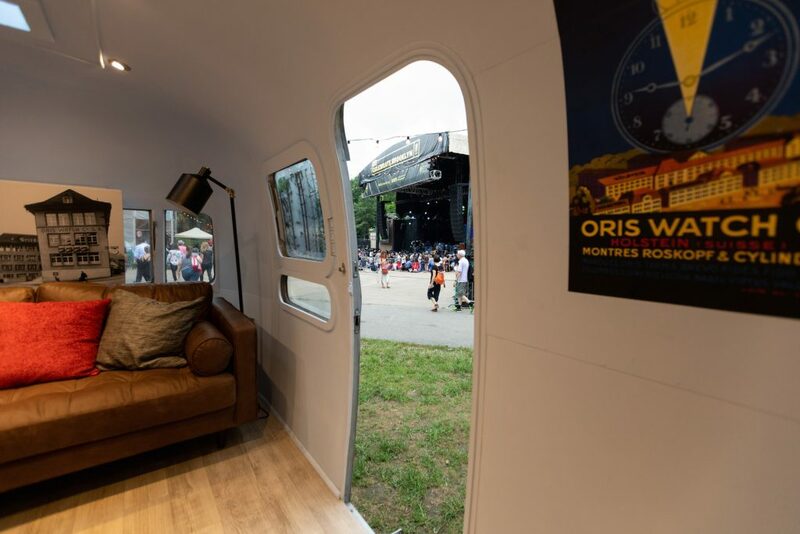 A sure way to draw traffic at local festivals and shows is to bring in a vintage Airstream as your pop-up display space, which is exactly what Oris is doing. The Oris Airstream also provides the perfect setting for some of the coveted Oris timepieces unveiled recently, including the Carl Brashere watch, the Aquis Clipperton line, the Divers Sixty-Five, the Big Crown ProPilot, among others. 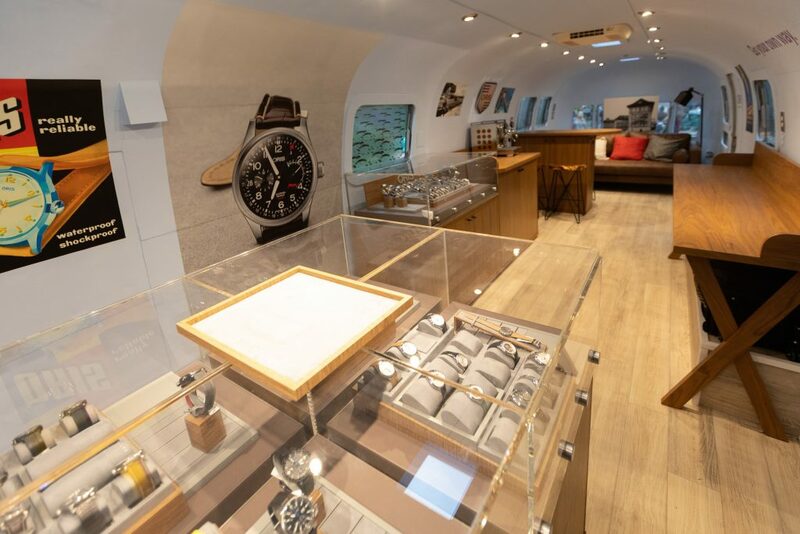 In addition to the watches displayed inside the Airstream, there is a bar and seating area where consumers can try on Oris watches in comfort. 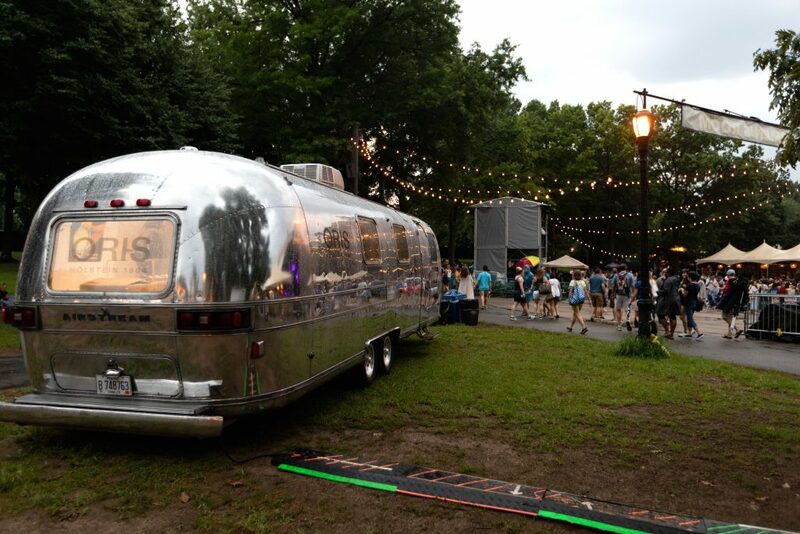 The unique mobile concept pop-up Oris Airstream launched at the BRIC Celebrate Brooklyn Festival and will continue to the Newport International Boat show in September, and elsewhere after that. The Oris Airstream pop-up store characterizes this independent brand that likes to think outside the box when it comes to watches.